Can you confirm these amateur observations of Oxyrhopus occipitalis? 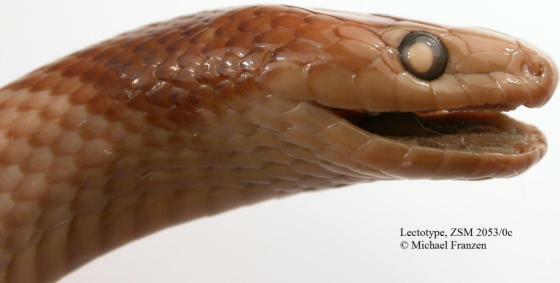 Types Lectotype, ZSM 2053/0, a 746 mm male (collected by Spix and Martius expedition to Brazil 1817-1820), designated by Hoogmoed and Gruber, 1983: 328. Comment Synonymy: Bailey (190) synonymised O. occipitalis with O. formosus, despite his stated belief that the latter consists of a complex of species. Oxyrhopus occipitalis was revalidated by Hoge et al. (193). Hence not listed by PETERS & OREJAS-MIRANDA 190, nor by FRANK & RAMUS 1995, nor by PEREZ-SANTOS & MORENO 1988. Similar species: Due to confusion with O. formosus (Wied-Neuwied), the entire range of this species cannot be determined until a revision of the formosus complex is undertaken. Perhaps some of the specimens listed under O. formosus will turn out to be O. occipitalis (Wallach and Williams, unpubl.). What was reported as Clelia bicolor from northeastern Peru by Dixon & Soini (19, 1986) is almost certainly O. occipitalis. 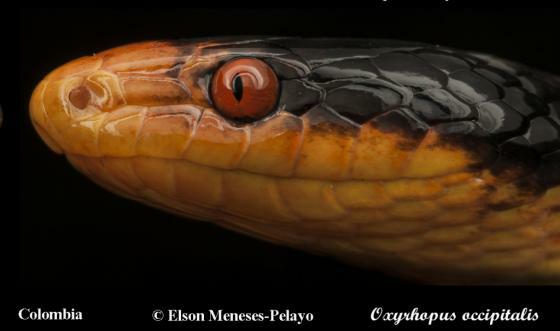 The specimens reported as O. formosus from eastern Ecuador (Duellman, 198) are O. occipitalis, based on the color description provided. O. occipitalis may be confused with juvenile Clelia clelia and with Pseudoboa neuwiedii. 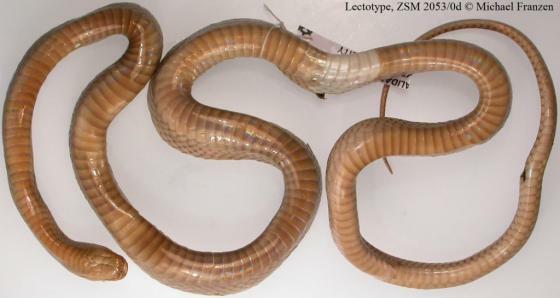 O. occipitalis exhibits strong ontogenetic change in color pattern (juveniles have a yellow head with the body and tail banded black and yellow-white whereas adults have a yellow snout (extending to the suture between the prefrontals and frontal), rest of black head, and red body and tail [scale tips black], LYNCH 2009). RIVAS et al. 2012 follow MacCulloch et al. 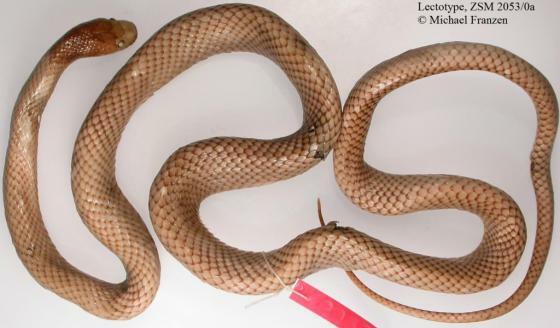 (2009) and consider the specimens reported as O. formosus from Venezuela to be O. occipitalis. Oxyrhopus occipitalis differs from O. formosus by its slender body form (more robust in O. formosus), snout yellow and top of head brown (entire head yel- low or cream), adults red with very faint body bands (adults with prominent black bands).